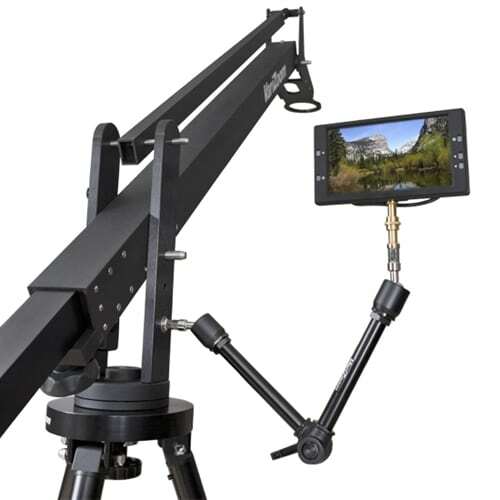 The new Heavy Duty (HD) Single-Locking Articulated Arm Master Kit adds further versatility to the outstanding HD Arm. 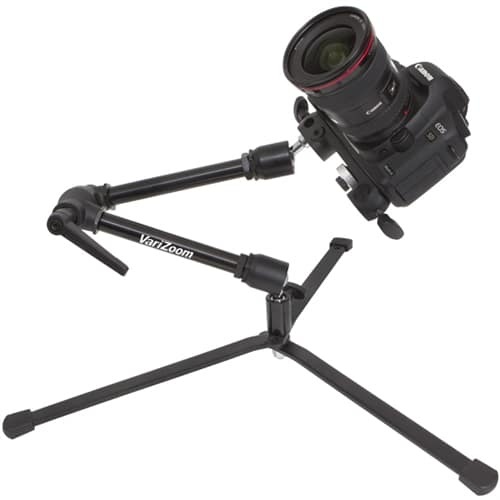 The Master Kit includes a rugged tripod base and a beefy head bracket for attaching larger accessories that require lateral support. 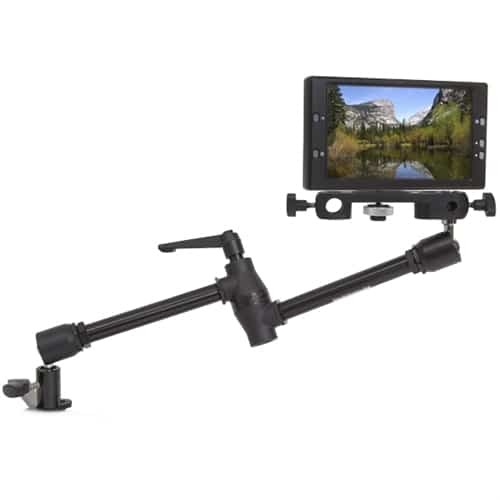 Perfect for mounting monitors, small lights and small cameras, and capable of easily holding 5 pounds, the HD Arm also boasts a slick locking mechanism that allows you to loosen all three joints with a single lever. 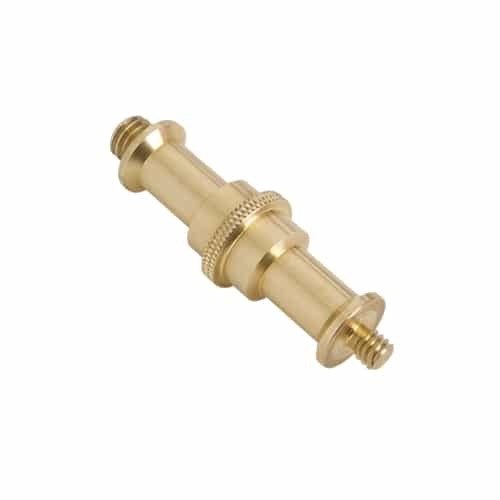 The system includes a reversible brass mounting stud with 1/4″-20 and 3/8″-16 ends and our universal clamp for mounting to bars or flat surfaces. 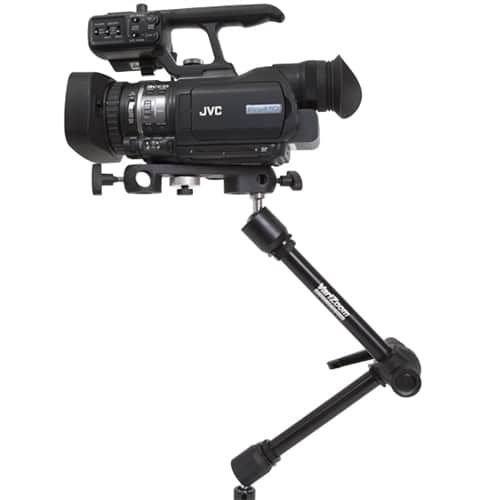 The HD Arm Master Kit is robust, easy to use, and incredibly helpful in video, photo, and film applications. Built for professional applications, this Heavy Duty Arm has rugged construction, simple operation, and high load capacity. Adjustable to virtually any angle, the HD Arm’s single-lock mechanism allows you to quickly reposition and fix all three joints with one handle. This single-lock mechanism incorporates a positive-lock serrated clutch and an oversize adjustable handle for high leverage, so you never have to worry about the arm slipping. 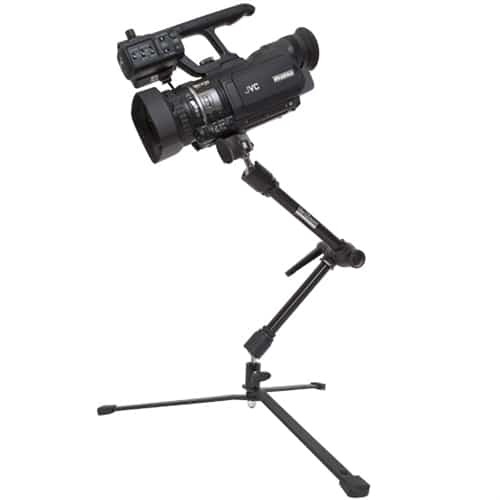 The HD Arm Kit readily supports small field monitors, lights, microphones, and small cameras up to 5 pounds. 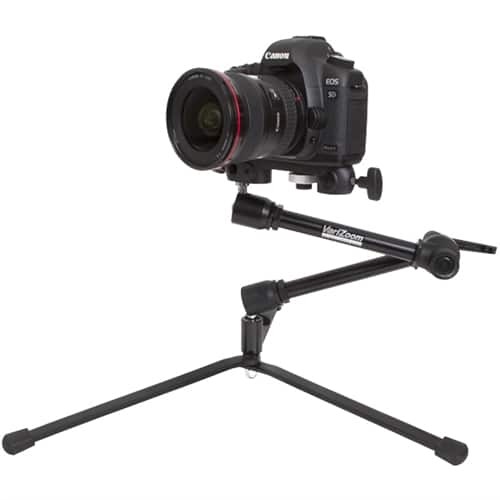 Additional items included with this Master Kit are the versatile head mounting bracket for increased lateral support of wide or heavy items and the folding tripod base for tabletop or ground mounting. 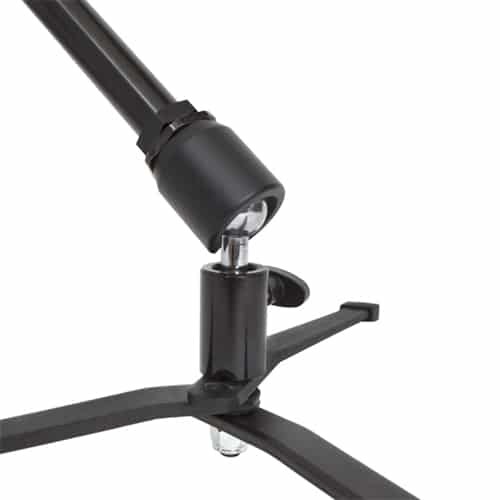 The head bracket mounts to the arm at up to 7 different spots and from any side for great flexibility. With its multiple sockets, you can even mount the head bracket to 2 arms in a “bridge configuration” for double the load carrying capacity. 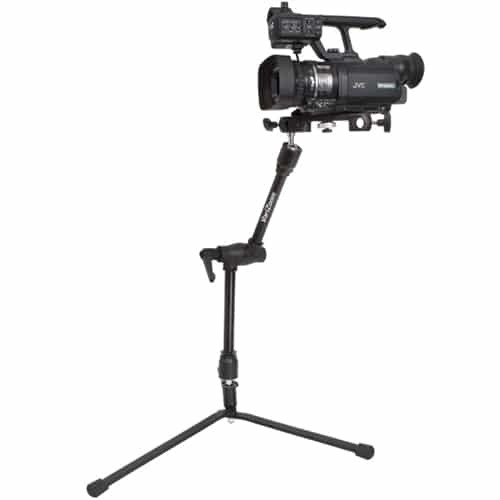 The tripod base comes in handy for a number of applications, especially if you want to mount your small camera, light, or microphone to the arm in a spot where space is limited and tabletop or ground positioning is imperative. 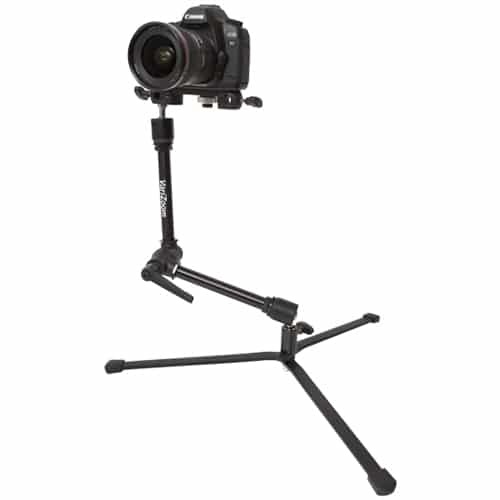 The tripod configuration works very well for tabletop photo/video applications, as it allows you to mount the camera to the arm and quickly adjust to angles not possible with a conventional tripod. 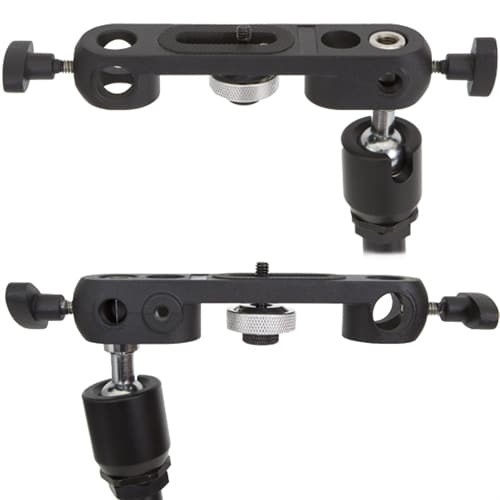 Standard HD Arm items are also included: reversible 1/4″-20 to 3/8″-16 brass mounting stud (the arm has 1/4″-20 socket on one end and 3/8″-16 on the other end), universal clamp that mounts to tubes or flat surfaces, 1/4″-20 stud w/ washer, and 3/8″-16 stud w/ washer. The arm can also be directly mounted to the newest series of SnapCrane and QuickJib at the pivot base or any other drilled surface using the internally threaded end sockets. 9.5" x 6" x 3"